Award-winning Manchester-based artist. 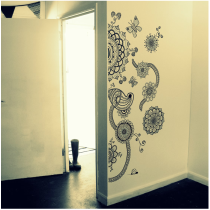 Inspired by the patterns of Asia and the Middle East, Lizzie Hobbs creates freehand ink drawings. She has items for sale and works to commission.